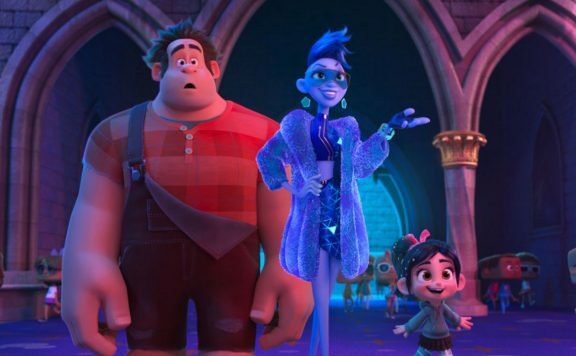 Ralph Breaks The Internet is the highly anticipated sequel to 2012’s Wreck-It Ralph. 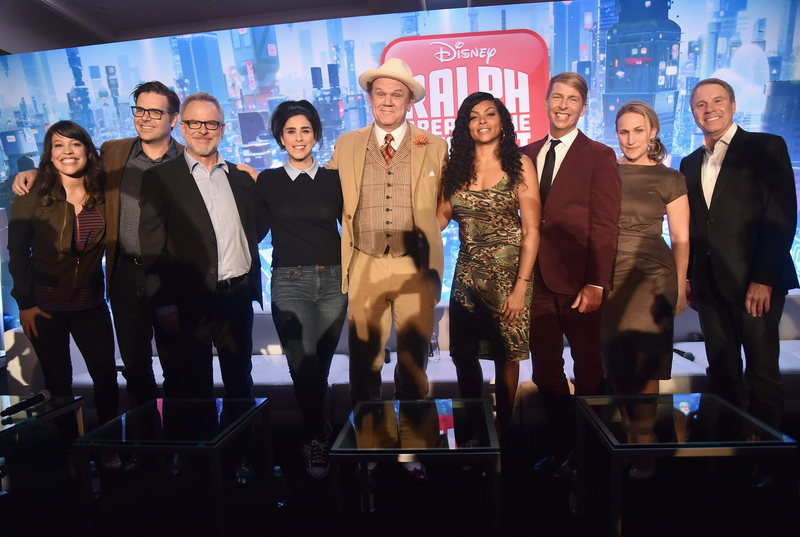 This time around, Ralph (John C. Reilly) and Vanellope von Schweetz (Sarah Silverman) must embark on a journey through the internet after Vanellope’s beloved racing game Sugar Rush becomes broken. Determined to find the part in order to fix Sugar Rush, Vanellope and Ralph must leave their world behind and travel through the internet in order to locate the part on eBay. 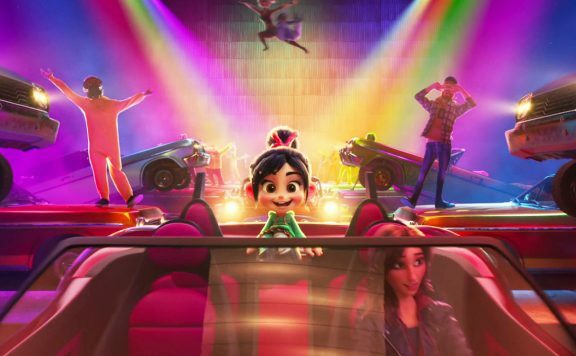 Along the way, Vanellope becomes intrigued by this new world and a modern racing game called Slaughter Race. Ralph, on the other hand, feels completely out of his element and begins to fear for the worst as his insecurities take over. 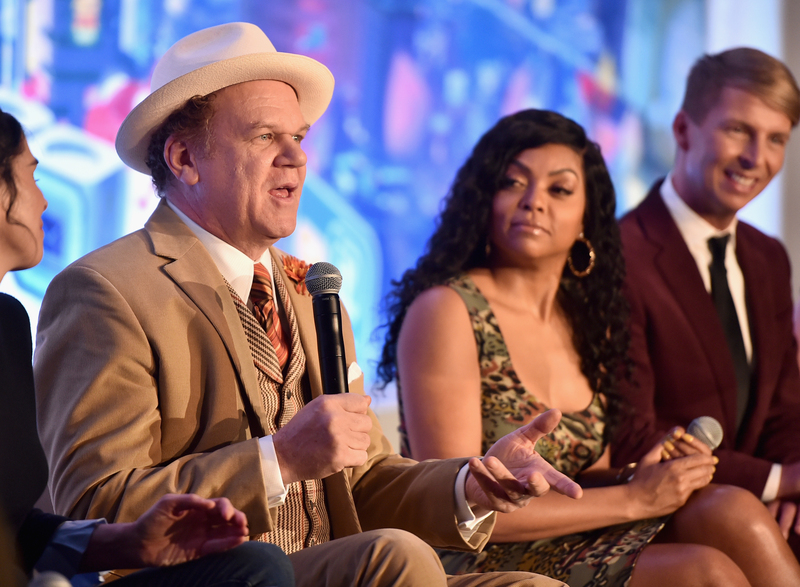 At a recent press conference for the film, John C. Reilly, Sarah Silverman, Taraji P. Henson, Jack McBrayer, Rich Moore, Phil Johnston, Clark Spencer, and Pamela Ribon shared some interesting tidbits about working on the sequel. Here are a few of the most interesting takeaways from that press conference. Moore: We looked at the very last line of the first movie where Ralph says, after going friendless for the whole movie and then finally making a friend, he’s back home and says if that little kid likes me, how bad can I be? And it seemed at the time, it’s so sweet. It’s a wonderful sentiment. But then as we continued to kind of pick at it, we said, that’s really, really dysfunctional. That this guy is defining himself by what his best friend thinks. And it’s a great best friend. But what if she were not to like him someday? What would that lead to? Johnston: And so knowing that he still had quite a bit of insecurity, he still had farther to go in his journey. Then we had only known Vanellope for like 35 minutes or 40 minutes. So she has a whole other story. We had to keep going with these characters. I’ve worked really hard not to let my insecurities slow me down. I think that’s one of the important things every person in their life has to do is learn not to judge yourself and be kind to yourself inside of your own thoughts. But I do think I’m insecure about, probably because my mom said to me almost every time I left the house. She would say don’t wear out your welcome. Where are you going? Oh, go over there. Don’t wear out your welcome. Because I spent most of my day just wandering around the neighborhood going to different relative’s houses. 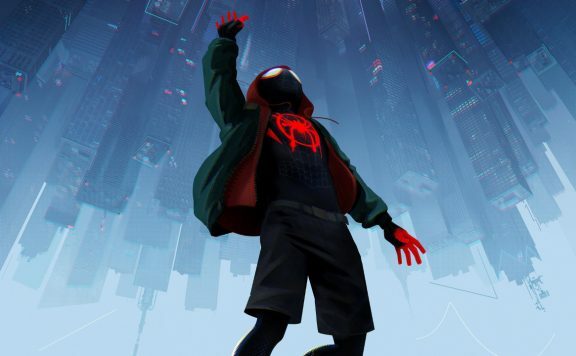 It’s one of those conundrums where no matter what you call it, someone is going to say, well, but shouldn’t it be Ralph Breaks the Internet since that’s the expression? And since we liked that it has a dual meaning (PH) of him going viral and then also actually destroying the Internet, we thought, let’s go with that. 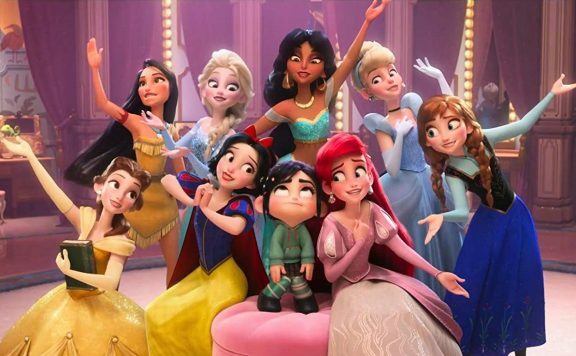 Let’s go with Ralph Breaks the Internet. Knowing that there would be backlash. Of shouldn’t it be called. CLARK SPENCER: Well, I think there’s two things that end up happening. One is technology is just improving in terms of the ability to render faster, which is a big key component to it. The second thing with Kong Ralph which is really interesting, we had to change our pipeline paradigm. We had to actually not let it be something that would happen at the end of our process. We would have four departments come together to work in tandem with each other. 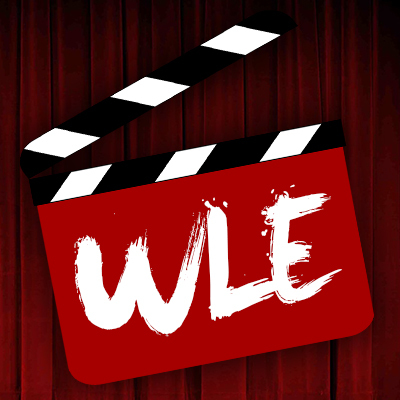 So it’s really the effects department, lighting, animation, and crowds, who all came together to work as a team which is outside of the pipeline we usually use. And then the third piece is technology came in and really figured out a way to make sure that the characters don’t interpenetrate each other. That was going to the biggest most complicated part of it. There is 50,000 Ralphs in that Kong Ralph. And to make sure that they don’t actually interpenetrate in any shot that we’re actually looking at. So there are many pieces of the puzzle that had to all come together to create that. And it’s a story where the directors had this idea and the story artists pitched it. Then you wonder again, is it something that we’re going to actually be able to realize in time. And it was an incredible process to actually watch come together. PHIL JOHNSTON: Also, there are 50,000 in the close-up. There are 300,000 total I was just told the other day. 300,000. Like the first one, we’re at that point where we feel like, it’s buttoned up nice and clean. That there cannot possibly be another story after this one. That’s what we thought on the first one. So unless we start digging at this and find that there is some sort of opportunity to be mined, I think right now, it feels as if they’re great companion pieces, it kinda ends here. Will it affect my act? Will it affect my attitude? I don’t know that it will affect my act. Although everything affects my act. Just living. But yeah. It’s a thrill. And it’s something that the idea of Disney Princess, what make it good is that it has grown and changed. 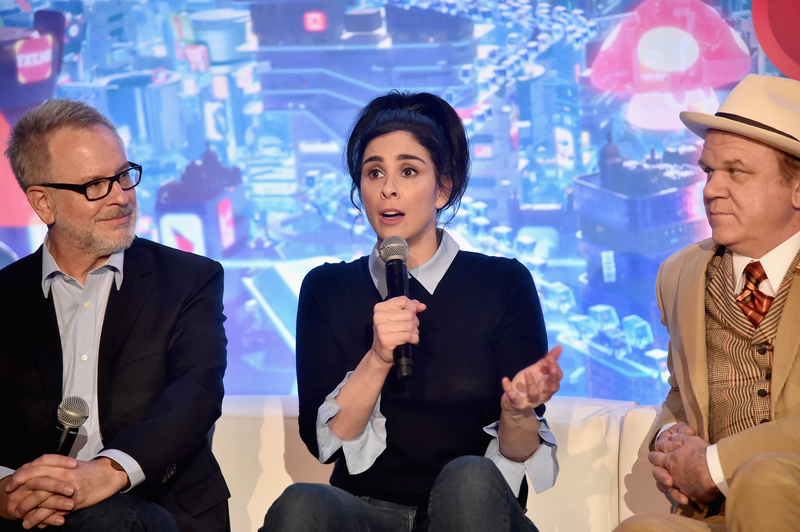 That Disney has taken on progress and inclusivity and has grown and changed in positive ways. And where a classic Disney Princess, and really, this movie just faces it head-on. Leans right into it. Well, you get saved by a man. And you’re in great distress. Your life is threatened. And then someone else saves you. And then to all in one movie acknowledge all of that and then shatter it is so exciting. And to get to be this kid who becomes like a princess with an attainable waistline. And wearing comfortable clothes. And I always like, as a comic, this is really going a different direction. But we end up in diners late at night after shows. And who also ends up at diners late at night are young girls, young people coming out of the clubs, dance clubs and stuff like that. I would see young women in half shirts and sky-high heels. And they’re freezing cold. They’re like this shivering. And their feet hurt. I just think. I just wish I could tell them that they don’t have to be uncomfortable to deserve love. Boys are not raised to think that they ever have to sacrifice comfort to be loved. And it just always struck me. I would go oh. I would be in like my hoodie and jeans and just think, these girls don’t think that they can get love without this insane amount of physical discomfort. 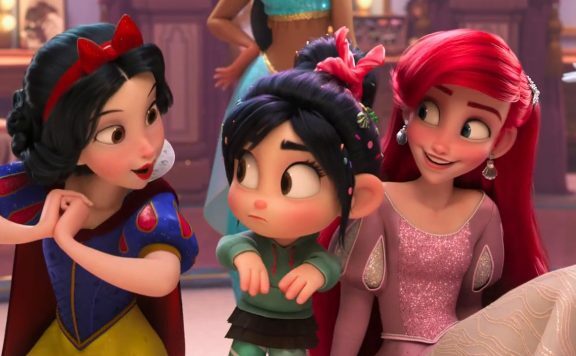 And I love that Vanellope kind of sheds light on these grown-up princesses that are uncomfortable hanging out. And Twitter just announced, I mean, didn’t just announce. But someone was talking about it months and months ago. I said, yeah. She’s Jewish. I just made her Jewish. Now it’s Canon which I enjoy. Von Schweetz. I don’t know. Is that Jewish? 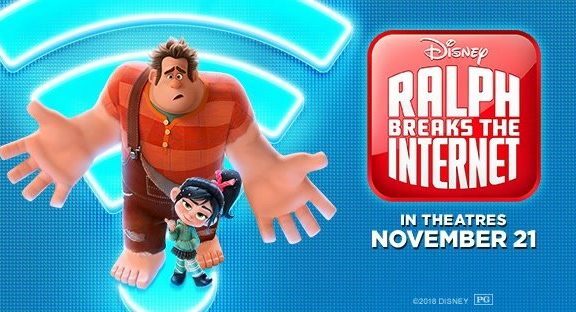 Check out Ralph Breaks the Internet in theaters on November 21st!